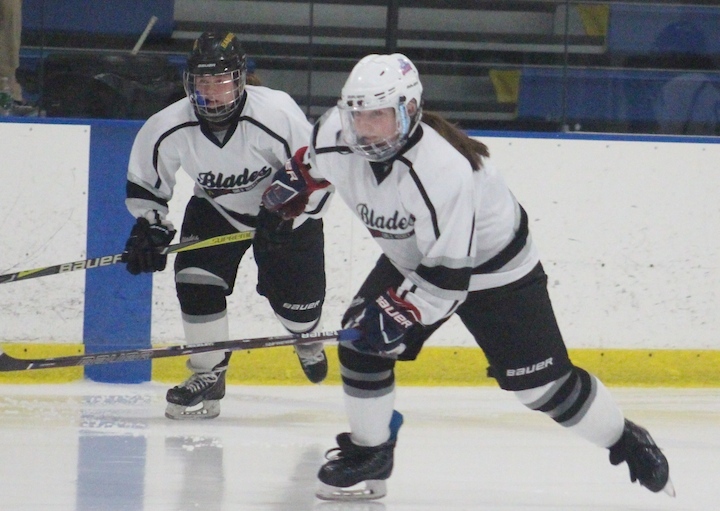 The Blades (Amity/Cheshire/North Haven) girls ice hockey team welcomed Guilford at Hamden on Saturday, Jan. 26 at 2 p.m.
After a season-starting dry spell, the Blades have been playing strong during the past few games and demonstrating all of the crowd-pleasing skills we’d grown accustomed to in past years. The Blades owned the first period with Tess Csjeka showing them how it’s done. 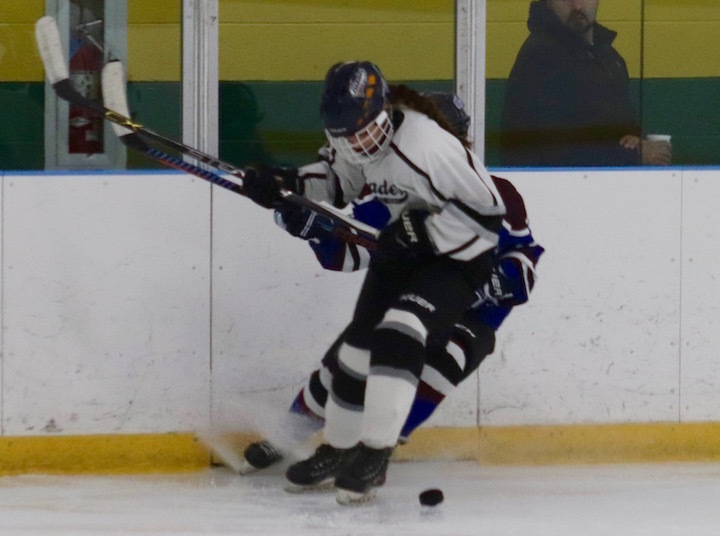 Her first goal was assisted by Andrea DelVecchio; a second was unassisted and the third — Hat Trick — was assisted by Carsyn Rizzuti and Ilana Laynar. The second period also was dominated by the Blades. 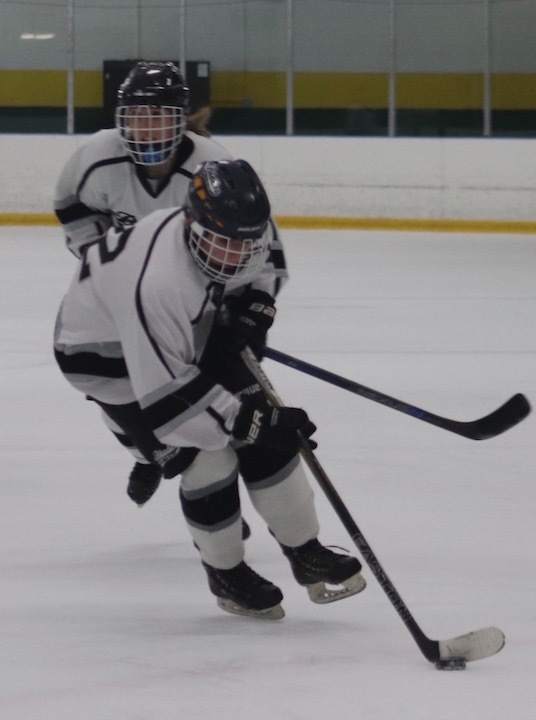 Mia Dow scored the first goal, assisted by Nadia DiNatale. Guilford made a move with Daniella Vickerman getting the Indians up on the scoreboard, assisted by Jacquelyn Violette. 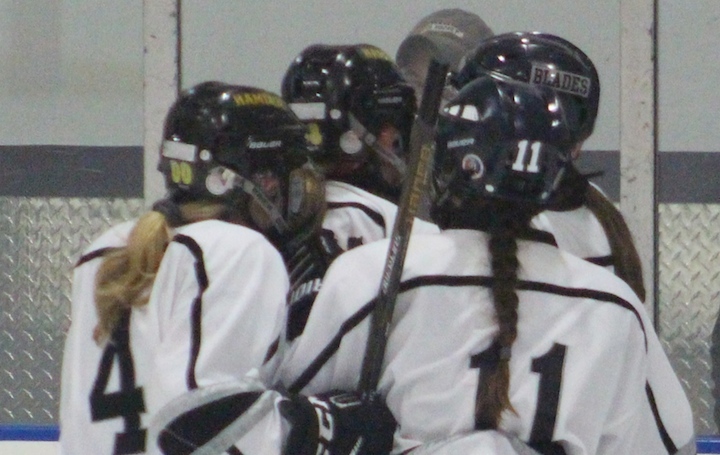 DelVecchio scored for the Blades, assisted by Caroline Cadelina, followed by a Haley Cable goal, assisted by Csejka. The Blades came out looking sharp in the third period as well. Shannon Reilly got one past the Indian’s goalie, Julia McDonald, assisted by Cable and DelVecchio. Guilford answered with a goal by Violette, assisted by Vickerman. 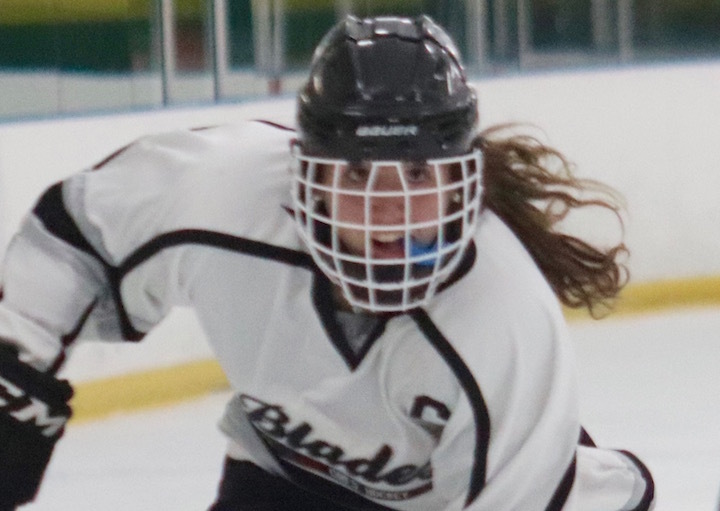 Saves: Caitlyn Ranciato made 9 stops for the Blades; McDonald made 23 saves for the Indians.